Accreditation provides external validation of patient safety, clinical quality improvement processes, and valuable ideas for improving patient safety and quality of care. Achieving accreditation has a number of benefits for any ASC, including improved community confidence in the center, stronger risk management and reduction, and it can be a requirement for reimbursement from Medicare and private payors. ASCs are a unique healthcare environment, and they come with a unique set of challenges that must be overcome to meet the standards of accrediting bodies like The Joint Commission and the Accreditation Association for Ambulatory Health Care (AAAHC). Based on my experiences working with ASCs, accreditation surveyors have been paying closer attention to the following areas during their site visits: infection prevention, environment of care, and meetings and minutes. This four-part article will discuss why these particular areas are challenging for ASCs and potential solutions to help improve compliance with standards. ASCs struggle with infection prevention in a number of areas. There is a fundamental lack of understanding by many ASCs about performing an infection prevention risk assessment. Surveyors want ASCs to find and prioritize their potential infection vulnerabilities and continually work to improve them. Determine the severity of the vulnerability (high, moderate, or low-risk). 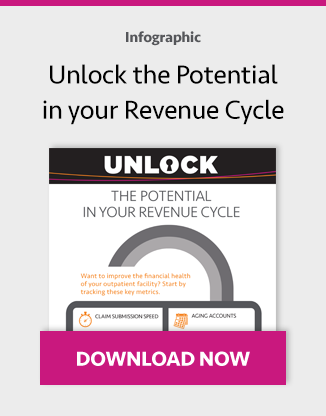 Determine the potential impact on patients and the organization. How prepared is the ASC to prevent the risk? Analyze and assess why the vulnerability is a challenge and communicate this reasoning in the assessment. A very common vulnerability for ASCs is handwashing, as it is difficult to achieve 100% compliance. ASCs should have handwashing as a top priority on their vulnerability list. ASCs often struggle with sterilization and instrument processing. This is primarily due to a lack of education for the team members performing this task. Most ASCs do not have a dedicated certified sterile processing technician on staff. Oftentimes, scrub technicians will assume sterilization and instrument processing duties. They often need to pick up these skills on the fly with little formal training, which can lead to bad habits and mistakes. Accreditation agencies are aware of these potential shortcomings and are paying much closer attention to sterilization and instrument processing. Make sure your ASC has well-documented sterilization processes that are thorough, consistent, and repeatable. Common steps in the process include cleaning, inspection, packaging, sterilization, sterile storage, and quality assurance. Also make sure that technicians know the location of manufacturers’ instructions, the type of sterilizer being used, how long to run trays, and if the center performs immediate-use or rapid-cycle sterilization as these are topics that surveyors frequently ask about. 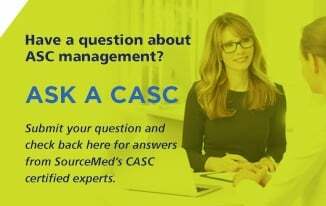 ASCs often struggle to comply with infection prevention regulations mainly because they lack the resources necessary to have a person dedicated to infection prevention and control. In order to stay atop your infection prevention risk assessment, you must have clear, well-defined policies and procedures that are made part of your staff onboarding and education programs. In parts two, three and four of this series, we will explore environment of care and meetings and minutes compliance, and provide recommendations for improved compliance. Click here to read parts two and three.